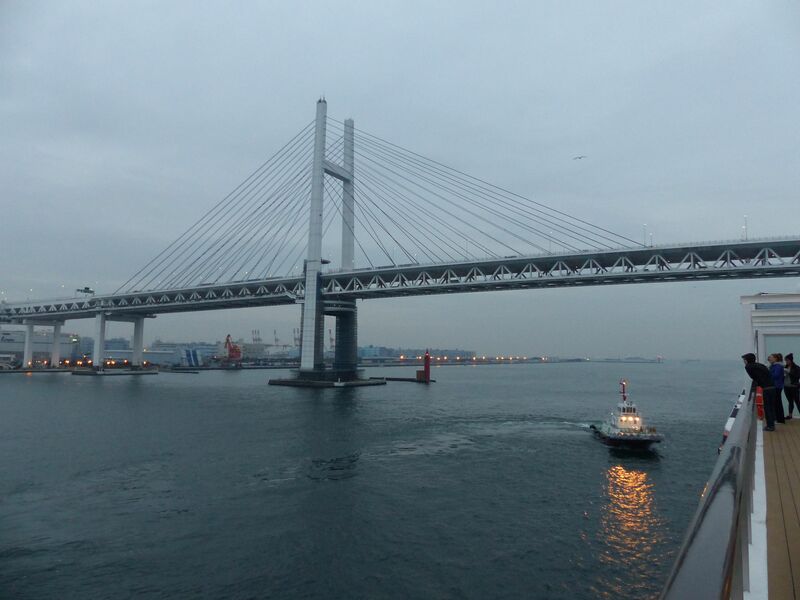 Two days ago we docked in Yokohama, Japan. The first thing we did was go to Chinatown. To be fair, it was very good and I got the best dumplings. Then we walked all over the place. There are so many vending machines. We got back to the ship and got on a bus. We went to this massive tower and rode the fastest elevator. Then we went to the Cup Noodles museum. We got to make our own Cup of Noodles. It was really fun. Then we got back on the bus and drove to a cool Japanese hotel. We went to dinner in our robes and had some awesome food. Then the next day we went to Mt. Fuji. It was amazing. Dad had boiled eggs that were boiled in the springs (they were black). We got to see Mt. Fuji in full view. Then we went to an art museum. It was so cool. There were hot springs. We got to put our feet in the hot springs. Then we went to the Picasso part (he is a bit over rated). Then we went to two kids play structures. The second one was really cool. They also had this really fun maze. Then we drove back to the ship. Now we are traveling to Kobe, Japan. Also no, it is not owned by Kobe (I made that mistake).